This knife is the strongest .. I beat this knife I have hammer nails cut down trees for a bunker in a hill side I even blocked a ax swing at me with it .I have owned it for 4 years or more this is worth Every penny.. VERY VERY VERY RUFF AND TUFF .. ITS olny got nicks in the blade from the ax I even split logs for fires.. when I'm in the woods for weeks at a time this knife go's with me.. its your life line.. I got my raider Bowie in the mail this past Thursday and was thoroughly impressed by the quality. But what can you expect from USA made products, right? The tip was acutely tapered for thrusting, the edge sharpened enough to shave with. Plenty of heft for slashing and chopping. I have yet to test it thoroughly but I'm sure it'll stack up against anything I put against it. The sheath as well was made of the best materials available. I expect it to last through my lifetime. Thank you for the sale kennesaw and delivery. Expecting to buy the fighting knife next time around. Awesome knife shaving sharp out the box. Not a fan of the sheath but great knife can't wait to use it. "Chops great and sharpens easily. a little heavy for a long hike but worth the effort to carry. Great for camping, hunting, shelter,and wood spliting. 1/4 thick great sheath. no complaints at all on quality. 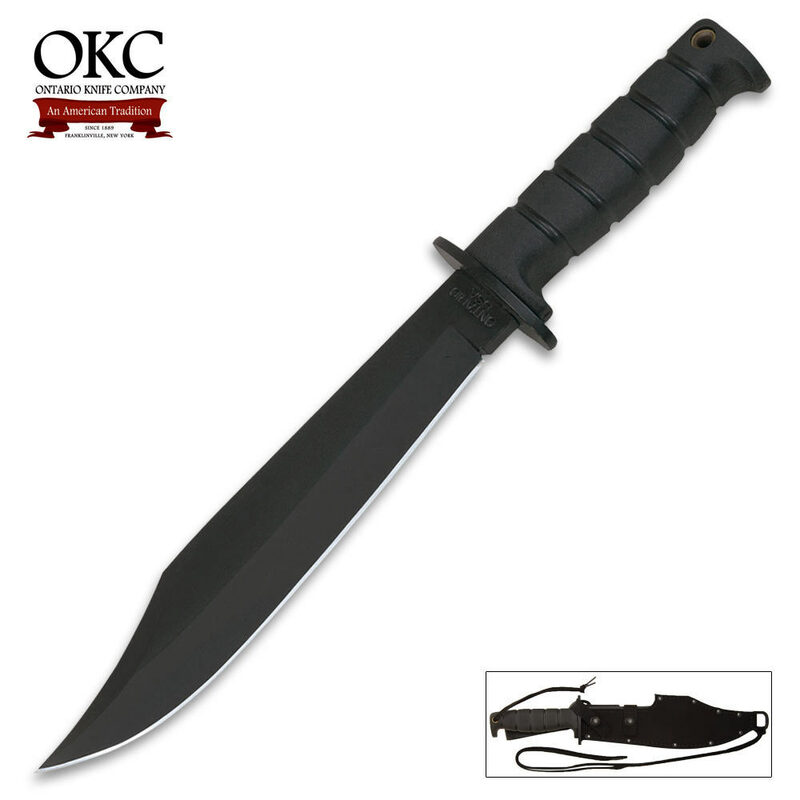 you can easily pay four times the price for other knives that are not as good as this one."""